Now that the U.S. housing market is in a definite recovery and home sales will continue to rise throughout the rest of 2013, many people are getting back into the “house buying” mode. Some potential buyers were scared off during the housing recession while many others even lost their homes. However, if you are among those planning to purchase a home this year, understanding the mortgage process is vital. So, with that said, here are some tips to plan for your mortgage if you think you may be in the market to buy a house. You should know that there are a plethora of home loans available and it is your responsibility to choose the most suitable mortgage program for your needs. The first important area to focus on is the ‘loan size’ or how much money you want to borrow. More often than not, this will come down to the amount you qualify to borrow and therefore it is critical for you to work with an experienced and qualified mortgage lender who can assist you with this. Make sure you understand your financial situation well so you can be comfortable with the right loan amount and payment. It’s important to know your options so you can make the best choice. If you are well qualified, you could have a number of different mortgage options. There is the most common mortgage type, which is the conventional 30-year fixed rate mortgage backed by Fannie Mae or Freddie Mac. There is also an FHA loan, insured by the Federal Housing Administration. These provide comparable mortgage rates and terms versus conventional financing, and are popular as a result of lenient approval standards and low down payment requirements. If you are a veteran, you may be eligible for a VA loan, another non-conventional type offered by the Department of Veterans Affairs. These loans are often advantageous because they require no down payment. Think about what is the best fit for your financial needs. An adjustable-rate mortgage (ARM) typically offers a lower rate for an initial set period, and then will fluctuate based on the market conditions and the guidelines of the loan. 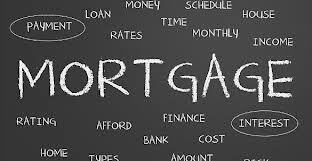 A fixed -rate mortgage maintains the same interest rate for the life of the loan, which allows a homeowner to budget and plan payments over a long time frame. These can be in 10, 15, 20, 25, and 30 year terms. Understand that your credit score will definitely play a huge role in determining which mortgage product and rate for which you will qualify. A high credit score can help you get access to additional mortgage options and will often get you better mortgage rates. Be sure to review your credit report so you can check for any errors or inaccuracies before you jump into buying a home. If you have challenges in this area, contact me and I can refer you to a trustworthy source where you can receive assistance. These are just a few basic tips if you are interested in possibly buying a home. I can go into much more detail with you on each of the mentioned items. Just give me a call and we can get you started on your way to becoming a homeowner!